Workshop unter Leitung von Dr. Andreas Graefe (LMU). As long as there have been elections, people have tried to predict their results. Although there are several methods for forecasting elections, the public mostly focuses on results from polls that ask people for whom they intend to vote. Such polls are often among the least accurate methods available, however, in particular long before the election. In this workshop, researchers from various disciplines present alternative forecasting methods, discuss their advantages and limitations, and provide evidence on their accuracy. 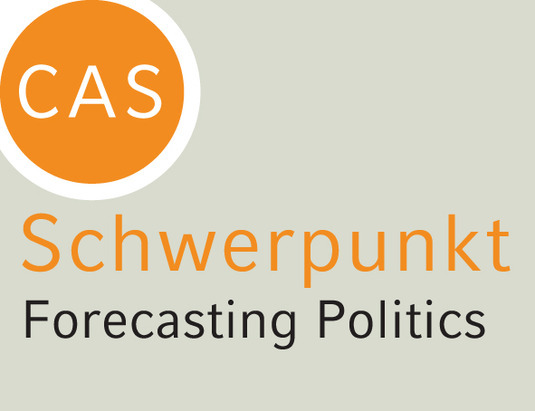 The goal is to increase our knowledge about how to best predict election outcomes, with a particular focus on the German Bundestagswahl. Teilnehmer sind u.a. : Thomas Gschwend (Mannheim), Tobias Kranz (Karlsruhe), Andranik Tumasjan (TUM). Prof. Panu Poutvaara – "The Right Look: Conservative Politicians Look Better And Voters Reward It"
Panu Poutvaara ist Professor für Volkswirtschaftslehre an der LMU und Leiter des Bereichs Internationaler Institutionenvergleich am ifo Institut in München.